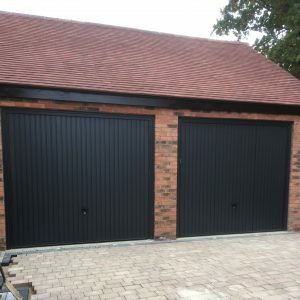 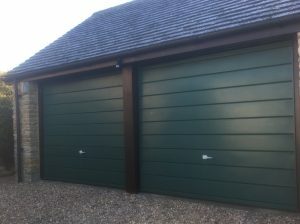 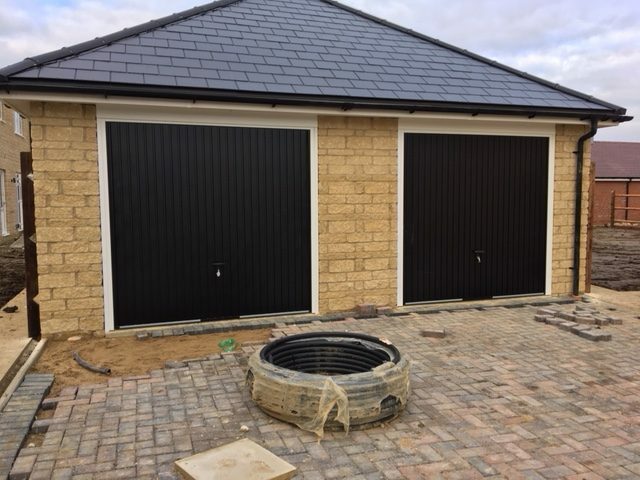 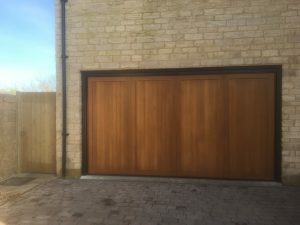 Our customer was looking for three up and over garage doors for their small, exclusive development in Northamptonshire. 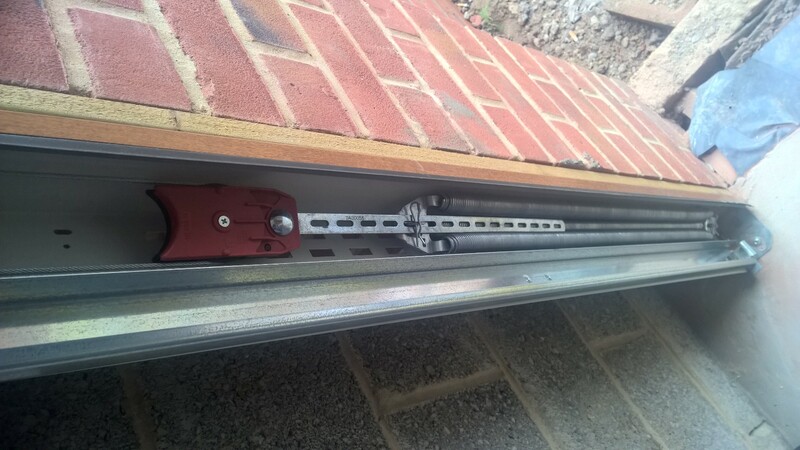 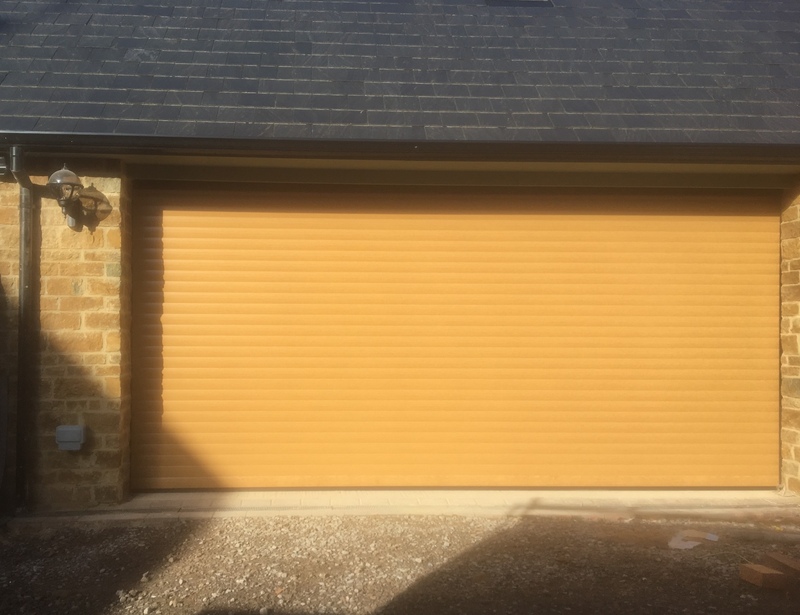 Installed on a new build property between Banbury and Southam, our customer chose RAL 9007 and the Flush Smooth design. 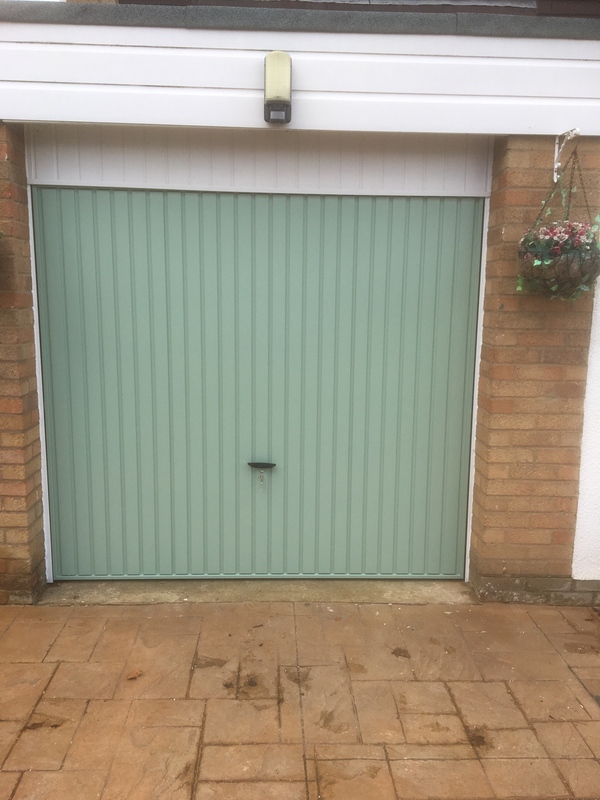 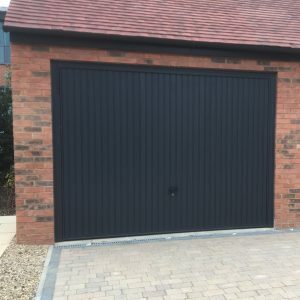 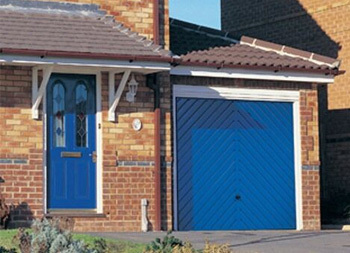 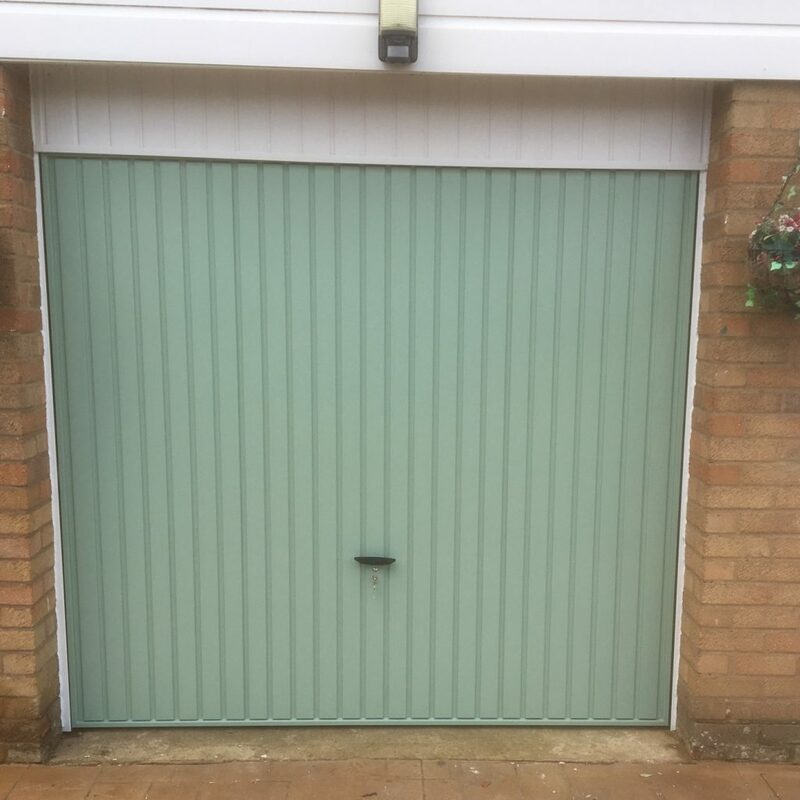 RAL 9007 is a standard colour however your new garage door can come in any RAL or BS colour of choice, to match your brickwork or framework, to ensure a perfect complement to your home. 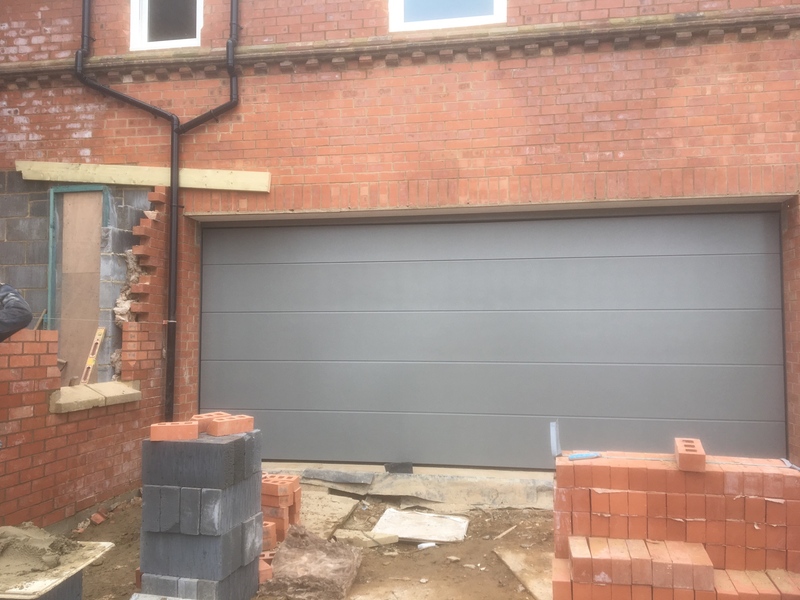 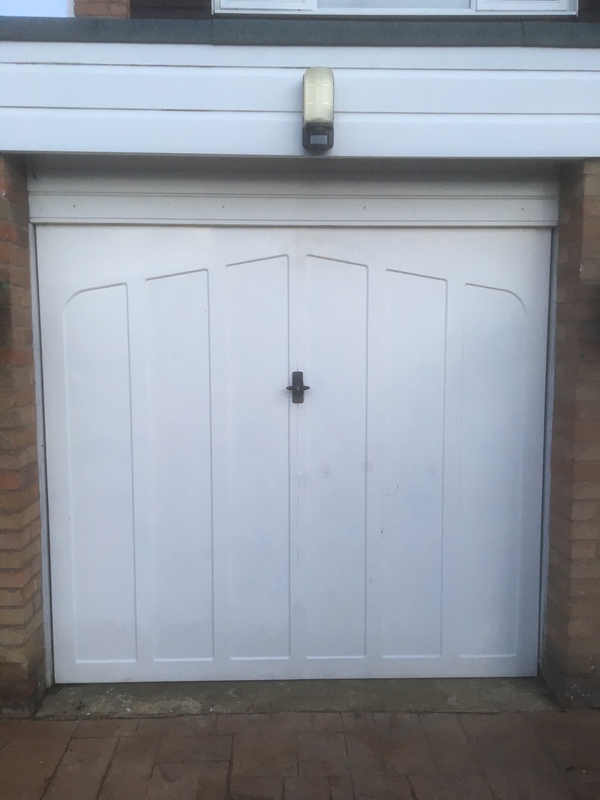 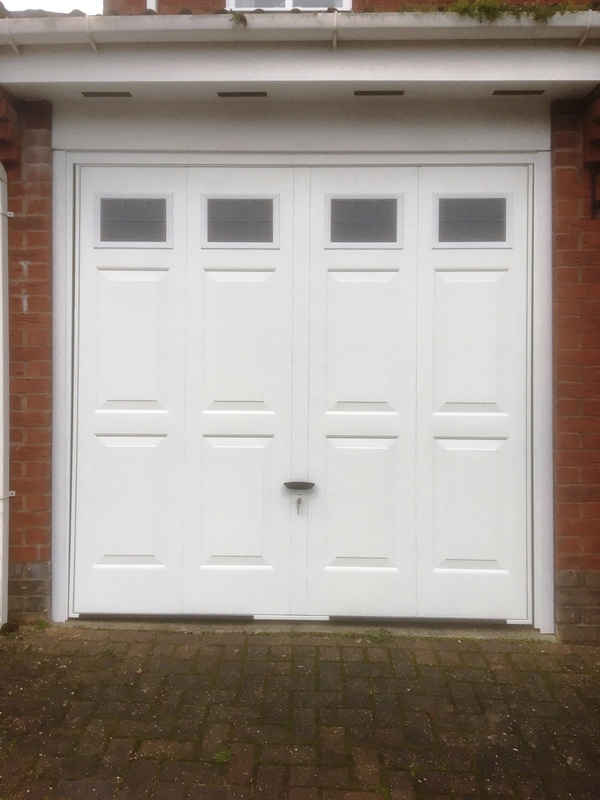 Our customer was looking to remove the centre pillar on their existing garage and turn the garage into one large opening. 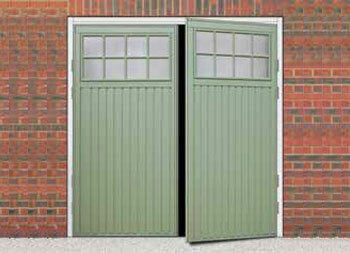 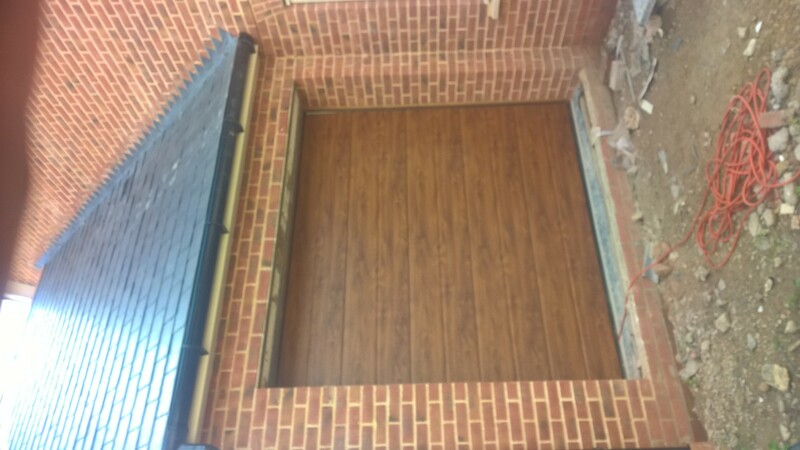 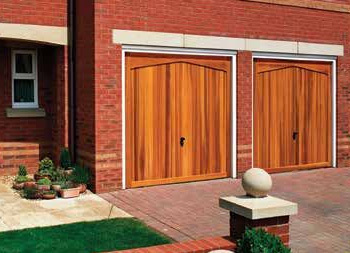 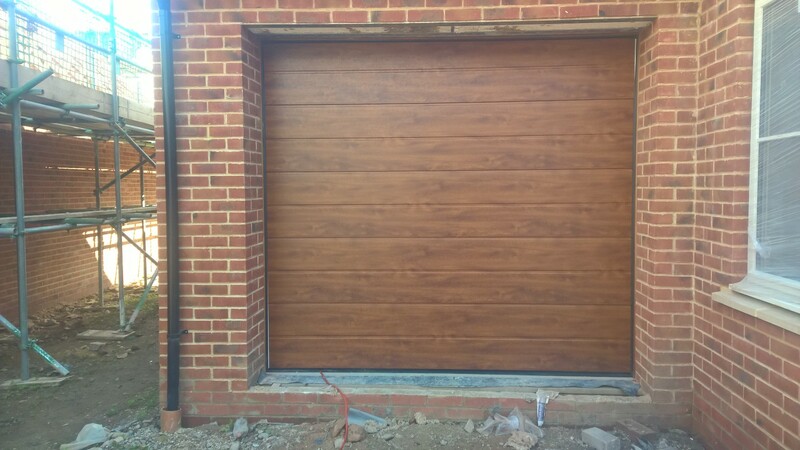 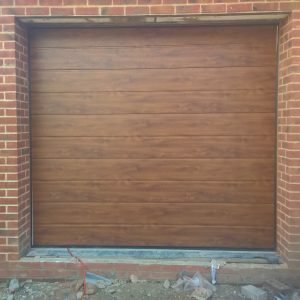 They chose this beautiful Winchester Oak sectional door with a motor for automation. 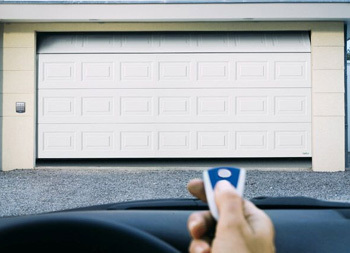 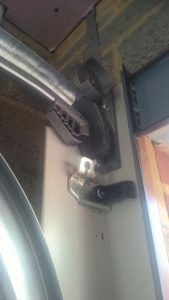 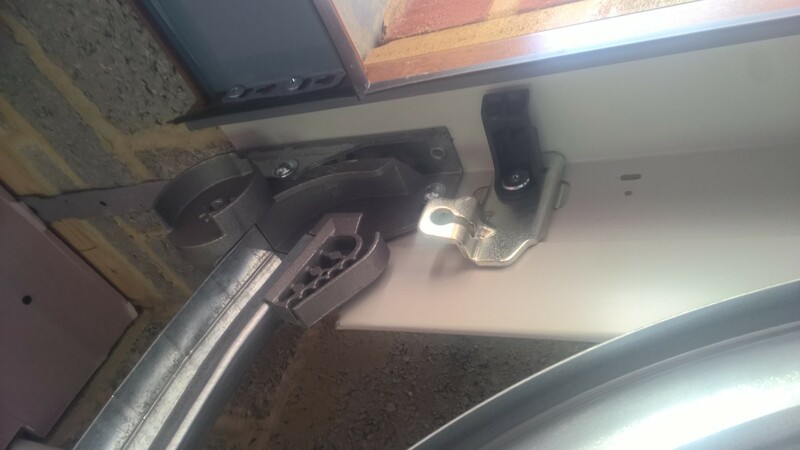 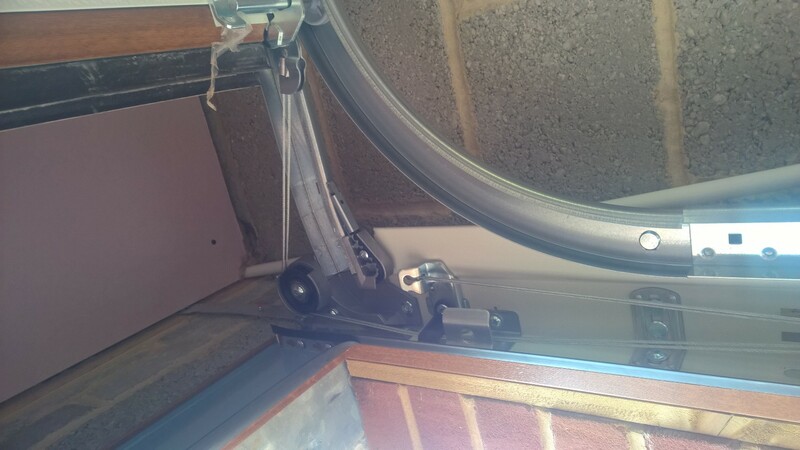 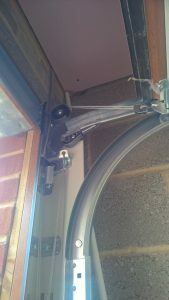 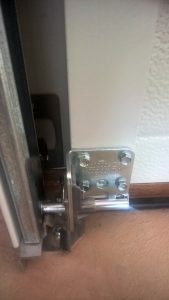 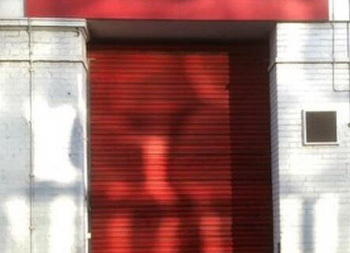 Concerned about garage door security? 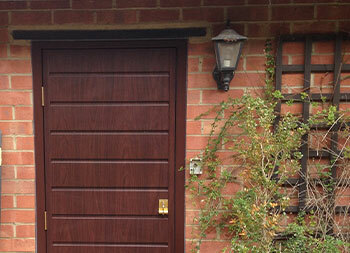 Then the Secured by Design range is for you! 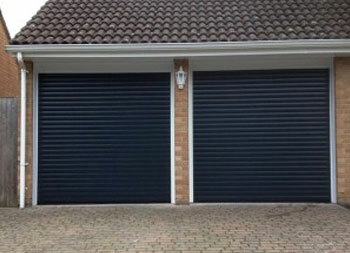 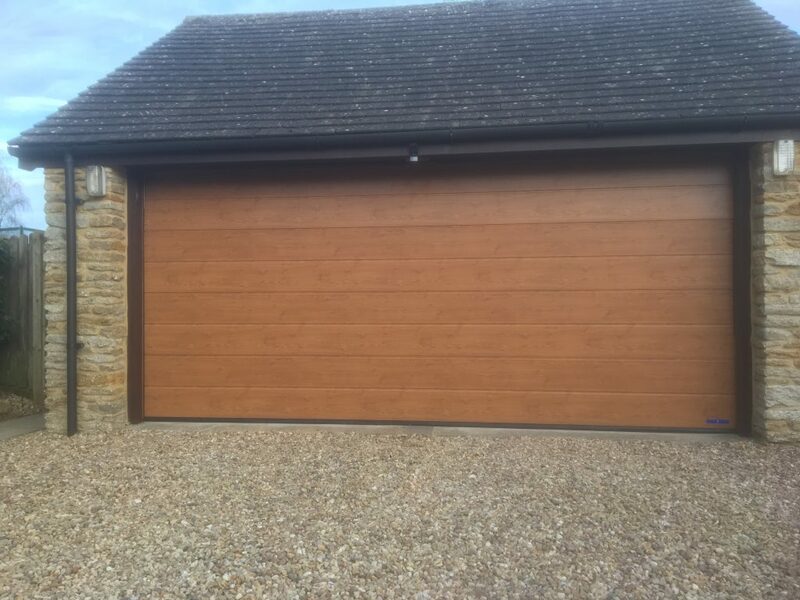 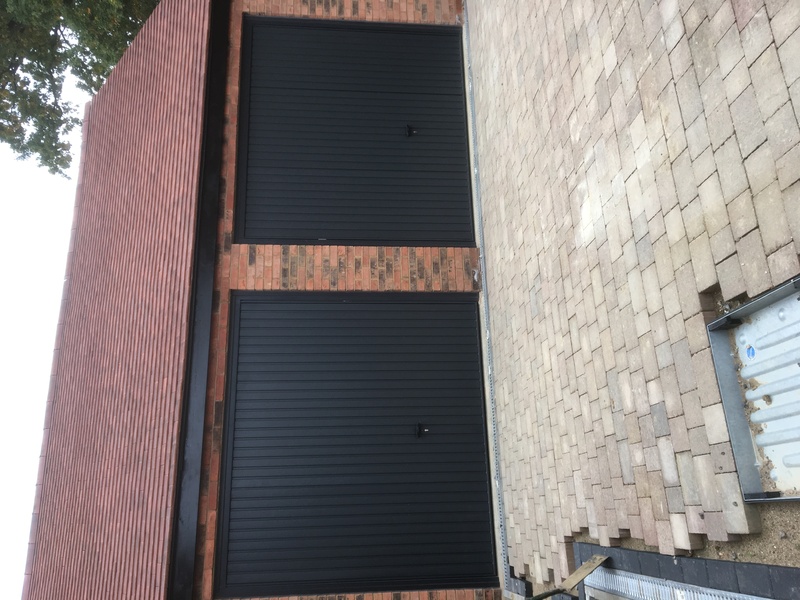 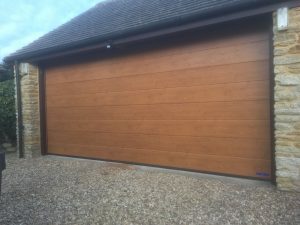 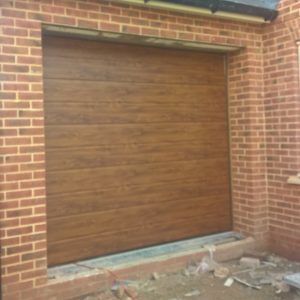 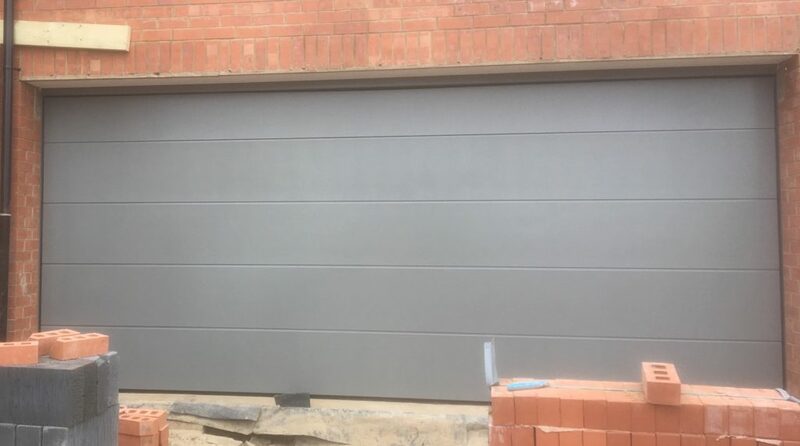 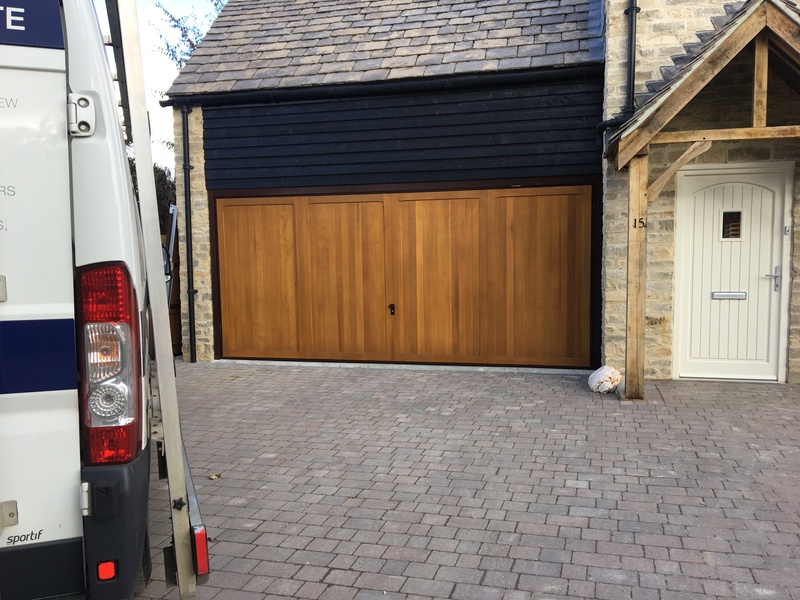 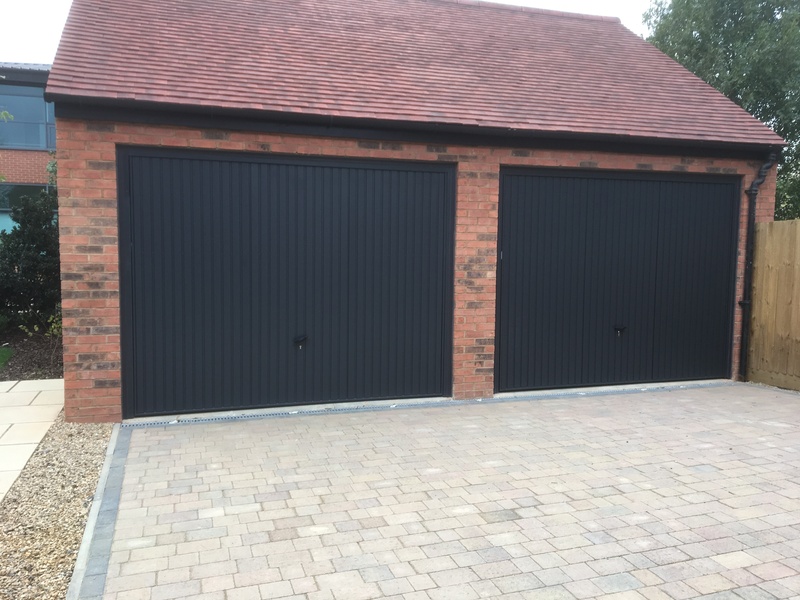 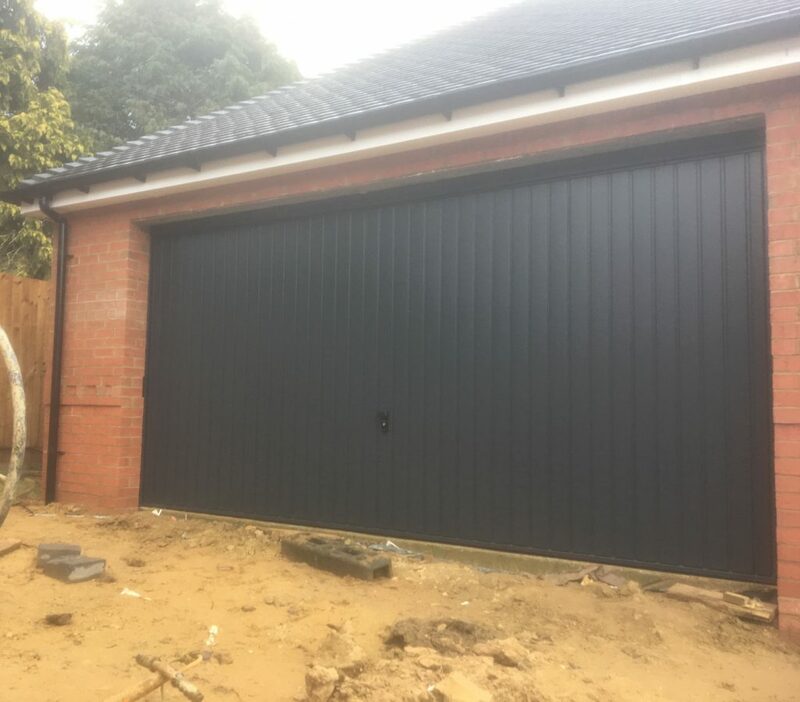 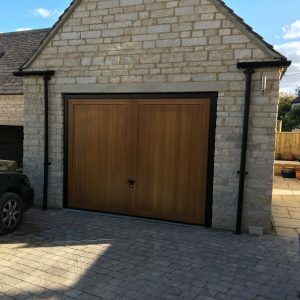 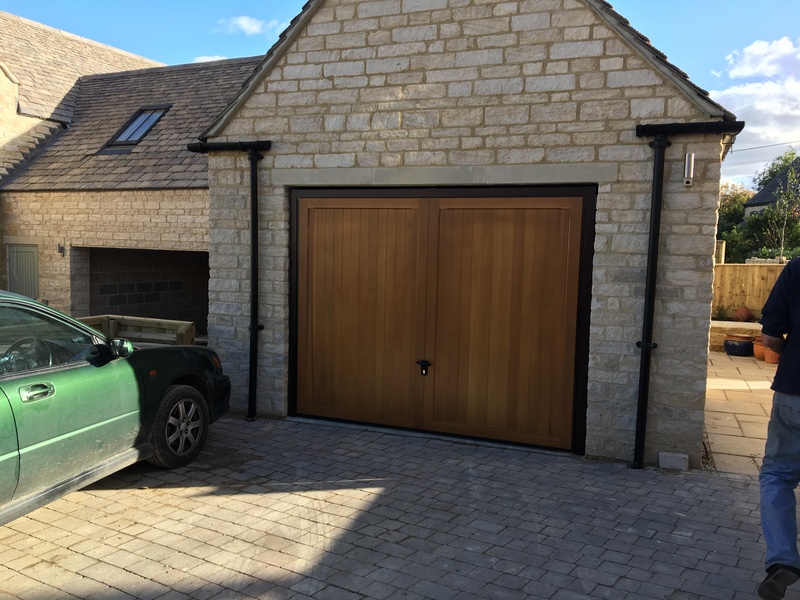 This stunning golden oak sectional garage door was installed in Yarnton, Oxfordshire for a property developer. 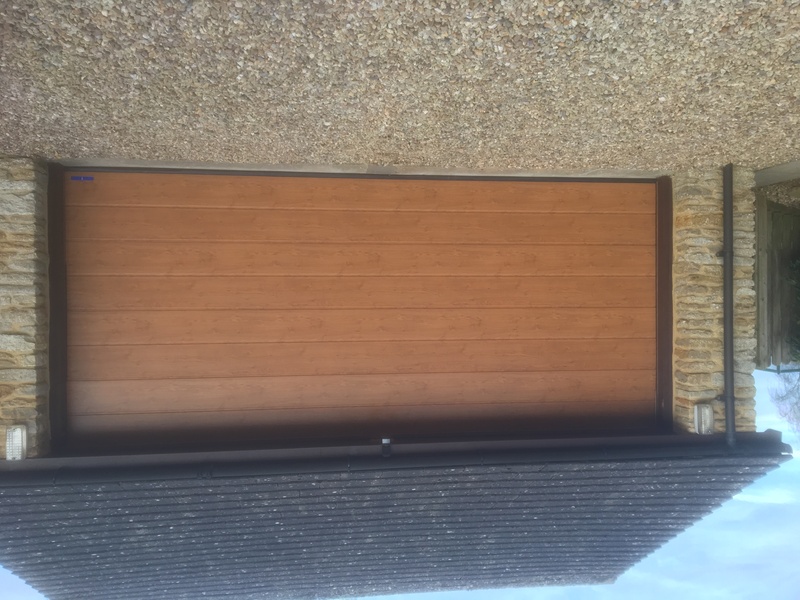 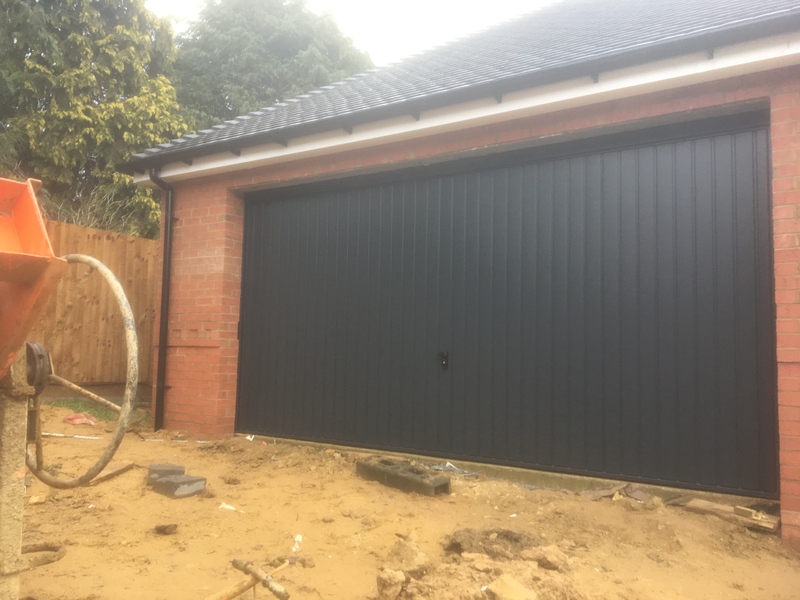 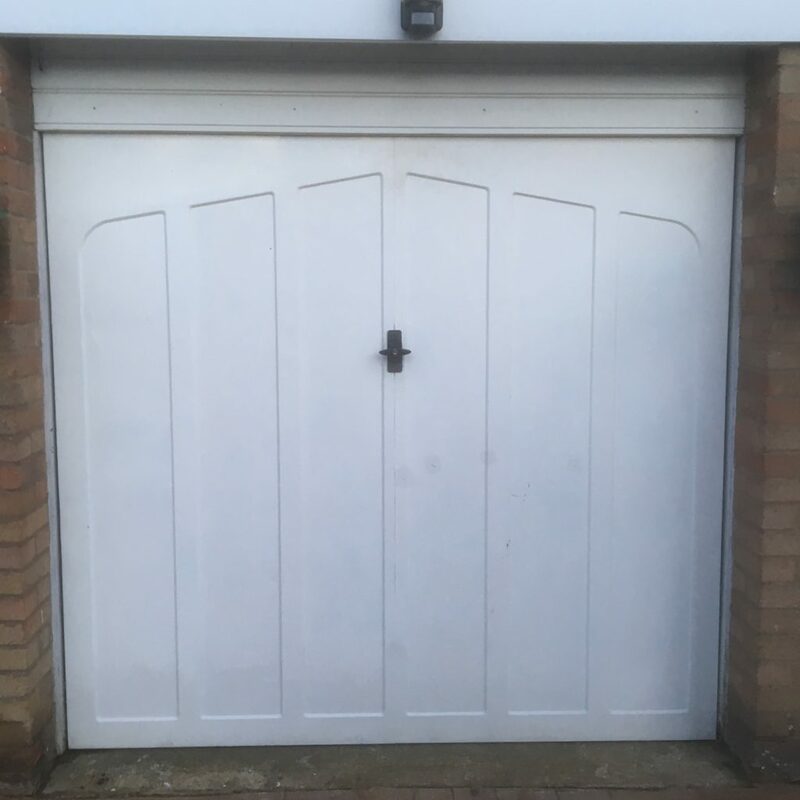 On the outside it may look like any other sectional door but it is actually a ‘lean, mean, crime busting machine’ which has been upgraded to Secured by Design status. 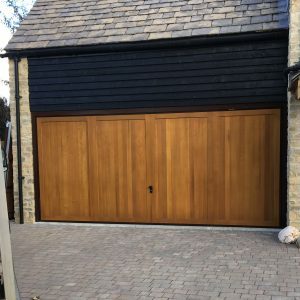 All Secured by Design garage doors are certified to CS 5051 STS202 and approved by ACPO Association of Chief Police Officers and are available in our Roller, Sectional and Up and Over ranges. 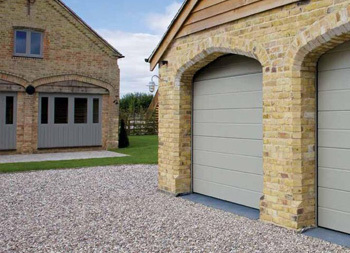 The Novoguard Secured by Design Sectional garage door is available in both manual and automated operation. 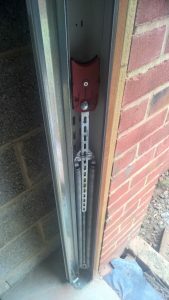 For automation, the side mounted Novoguard Novoport motor is required. 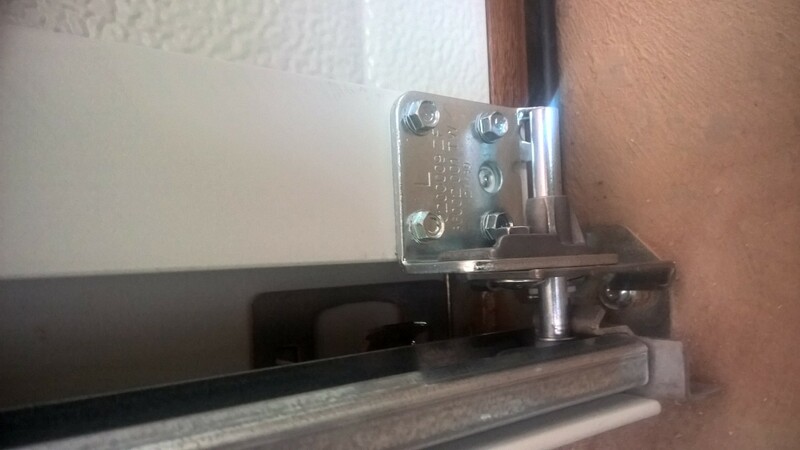 Not available with windows or any form of ventilation.